Eyal Weizman‘s stunning Wall Exchange, “Forensic Architecture”, which he presented at the Vogue Theatre in Vancouver earlier this month, is now up on YouTube here and embedded below. If you are puzzled by my riff on Joni Mitchell, start around 46:10 (though you’ll miss a lot if you do…). We may imagine the digital cloud as placeless, mute, ethereal, and unmediated. Yet the reality of the cloud is embodied in thousands of massive data centers, any one of which can use as much electricity as a midsized town. Even all these data centers are only one small part of the cloud. Behind that cloud-shaped icon on our screens is a whole universe of technologies and cultural norms, all working to keep us from noticing their existence. 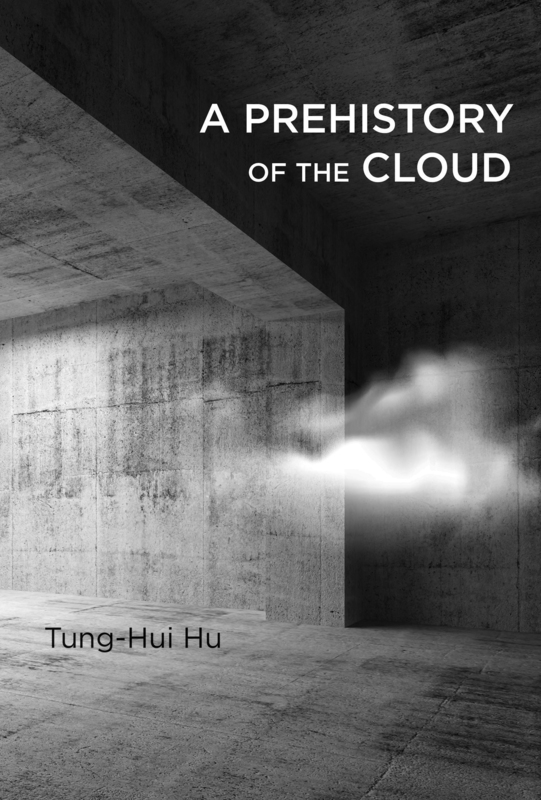 In this book, Tung-Hui Hu examines the gap between the real and the virtual in our understanding of the cloud. Hu shows that the cloud grew out of such older networks as railroad tracks, sewer lines, and television circuits. He describes key moments in the prehistory of the cloud, from the game “Spacewar” as exemplar of time-sharing computers to Cold War bunkers that were later reused as data centers. Countering the popular perception of a new “cloudlike” political power that is dispersed and immaterial, Hu argues that the cloud grafts digital technologies onto older ways of exerting power over a population. But because we invest the cloud with cultural fantasies about security and participation, we fail to recognize its militarized origins and ideology. Moving between the materiality of the technology itself and its cultural rhetoric, Hu’s account offers a set of new tools for rethinking the contemporary digital environment. This entry was posted in arms and weapons, bombing, books, drones, forensic architecture, imagery, Israel/Palestine, Pakistan, politics, security, technology and tagged cloud, cloud computing, digital technologies, drones, Eyal Weizman, forensic architecture, Gaza, Tung-Hui Hu by Derek Gregory. Bookmark the permalink. Pingback: nick lally // art, geography, software » Blog Archive » Surf’s Up!